These are the bars you will remember from your childhood. They are super simple to make and also super yummy. You will need a 13×9 size pan, buttered or sprayed with cooking spray. If you want a thicker bar use a smaller pan size. 1-10oz. package regular size marshmallows. This is 40 marshmallows. You can also use 4 cups of miniature marshmallows. In a large saucepan melt the margarine and add marshmallows and stir til completed melted. You can also melt margarine and marshmallows in a large bowl in the microwave. Heat on high for 2 minutes. Stir and heat an additional minute. Stir til completely smooth. To the melted marshmallows, add the cereal and stir til well coated. Press the cereal mixture into the prepared pan with a buttered spatula or buttered hands. 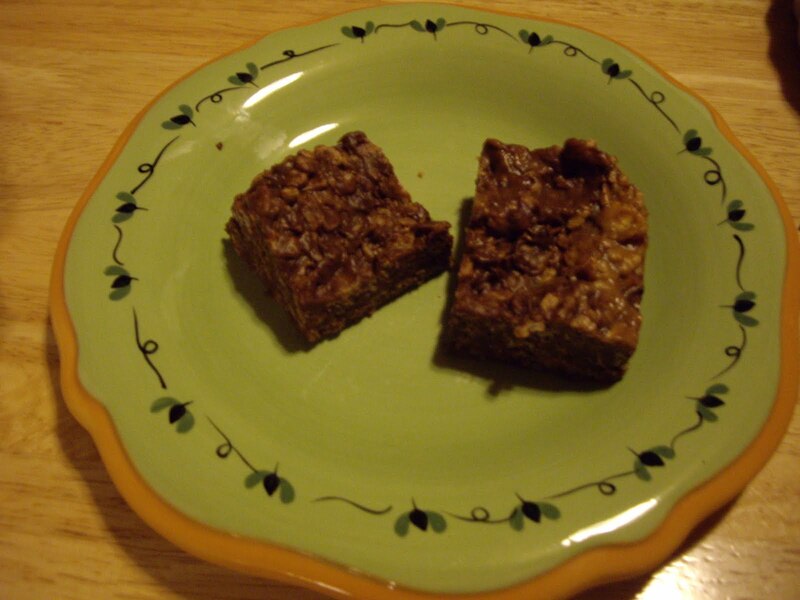 When cooled to room temperature, cut into bars.